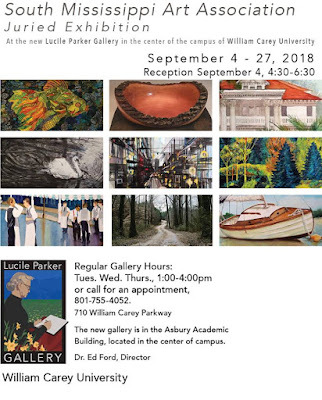 I have two fiber art pieces in the South Mississippi Art Association exhibit at the newly rebuilt Lucile Parker Art Gallery on the William Carey University campus. 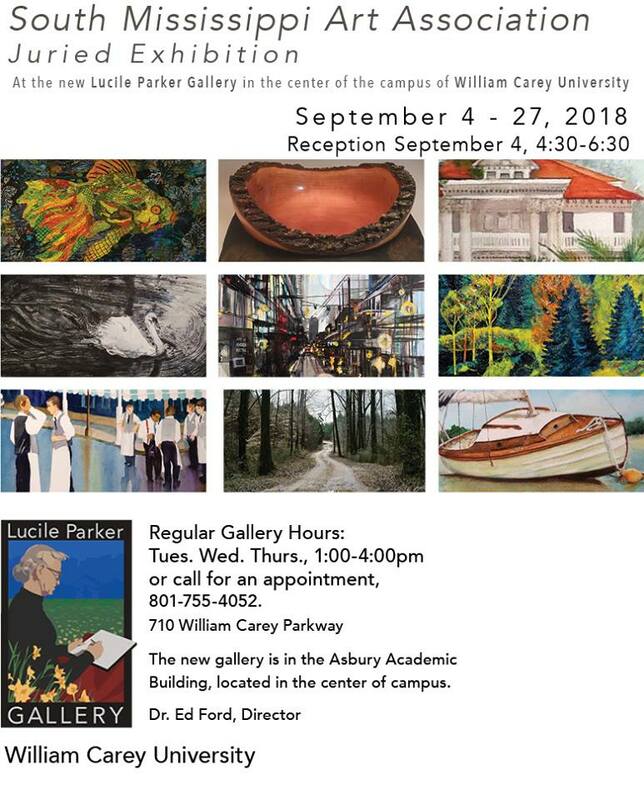 The beautiful gallery replaces the one destroyed in a tornado last year that did millions of dollars of damage to the campus. The opening Reception was delayed from Sept. 4 to Sept. 11 because of an approaching hurricane, which totally bypassed us. It is always a thrill for my art to be included on the invitation (Green Fish on top left). We are on a fast countdown preparing for Pine Belt Quilters 17th Biennial Fiber Art & Quilt Show, to open October 5 for a two-day show at Lake Terrace Convention Center. 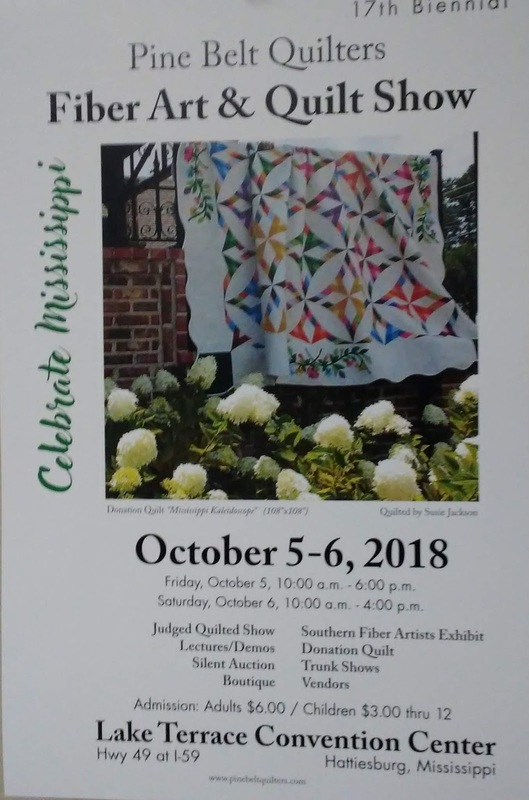 We have 292 quilts entered in 16 different categories plus a special exhibit of 54 pieces by Southern Fiber Artists, a state-wide art quilting organization that meets quarterly in the central part of Mississippi. The registration process involves far more work than can be imagined unless one has been involved. We are working on the show catalog and off-site check-in materials. Lots of work has been going on in selling ads, gathering door prizes, planning the hanging and other displays, Boutique and Silent Auction items.